Both of these concerts took place in Berlin but at markedly different venues, one a popular spot in the East Berlin alternative scene, the other a landmark church in Kreuzberg. The RAW-Tempel is on the grounds of the old East German railroad where the trains used to be serviced. Ingo Vaupel ran a regular concert series there of jazz and ethnic music. On this particularly hot summer night Gambian kora music was also performed. 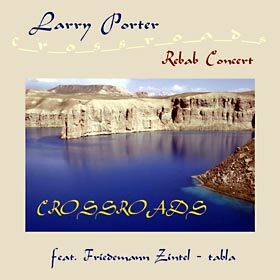 Larry and Friedemann presented a program of traditional Afghan songs and originals and topped the evening off with a wonderful extended medley of Ahmad Zahir songs. The Heilig-Kreuz-Kirche is a beautiful red brick church which has been fully renovated and is now used mainly for cultural events. 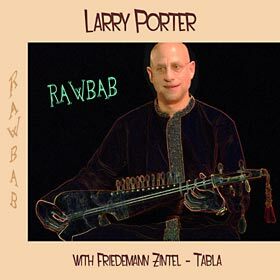 This concert was part of the two-week-long Asia-Pacific Festival and featured Dari, Pashto, and Hindi songs as well as two of Larry's rebab compositions. Tabla player Friedemann Zintel began his studies at the age of 13 with tabla guru, Sankha Chatterjee. 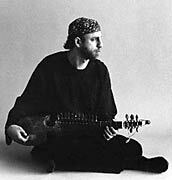 Friedemann is currently playing with the Berlin Mandala Trio, the Bollywood Spacewalk Project, Madhuri Chattopadhyay’s Inward Journey and appears as guest artist with numerous bands including Embryo.